The festive season is a time of sparkle and merriment, when beautiful decorations transform our hotels to set the scene for an unforgettable celebration. Whether it’s a cosy break at our country house hotel or a sunny escape to LA, there’s something for everyone this season. In the heart of London’s Mayfair, The Dorchester is the place to be this season for fun, festivities and wonderful dining. Our talented chefs add a festive twist to modern British cuisine with new menus throughout the season, while our afternoon tea becomes a magical experience with a live choir performance. Bringing a cool, contemporary twist to festive traditions, 45 Park Lane is an inviting spot in which to enjoy modern American cuisine, handcrafted cocktails and our new CUTcakes & Tea. Join us to try American-inspired festive favourites, as executive chef David McIntyre give our menus a holiday makeover. Picturesque parkland, roaring log fires, Michelin-starred dining. Coworth Park is the ultimate country escape, where you can spend your stay enjoying wintry strolls through the grounds, indulging in festive afternoon tea or simply cosying up next to the fire with friends and family. 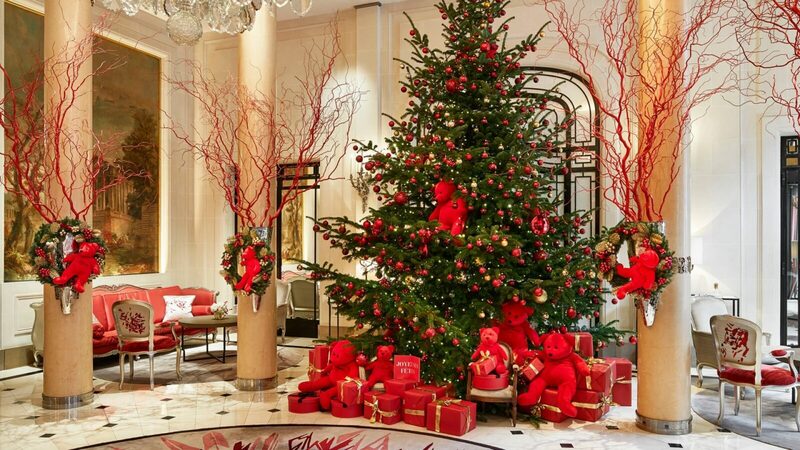 With beautiful decorations, two Michelin-starred dining, and an enviable location in the heart of Paris, Le Meurice makes a wonderful destination for celebrating the festive season. We invite you to discover all our Parisian palace has to offer, with festive dining, handcrafted cocktails and live music to set the scene for an unforgettable celebration. 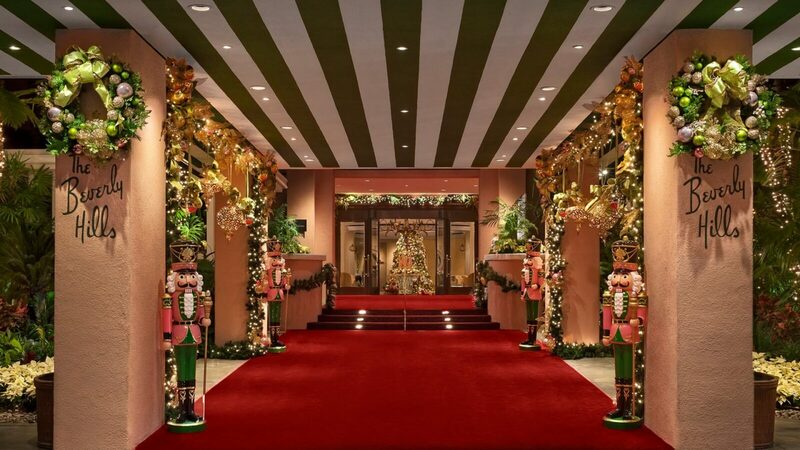 Elegant Hôtel Plaza Athénée delivers a masterclass in celebrating the holiday season in style. This is where you can watch the Eiffel Tower sparkle from your suite, take a twirl on our charming ice rink and soak up the glamour of Paris in its most magical season. We invite you to celebrate the festivities the Italian way, as we transform the hotel with beautiful decorations to get into the spirit of the season. At Acanto Restaurant our talented chefs add a festive twist to the menus, all served with an extra helping of our famous Milanese charm. A Roman festive season is like no other, where our warm hospitality makes you feel like you’re part of the family. Discover our beautiful accommodation, luxury spa and festive dining experiences courtesy of executive chef Fabio Ciervo. It’s sure to be a year to remember. Our ‘Pink Palace’ does the holiday season as only Hollywood knows how, with sunny days lounging poolside and evenings spent dining at the famous Polo Lounge and watching the sunset from the Bar Nineteen12 terrace. Let’s make it a year to remember. Nestled amongst the lush wooded hills of Los Angeles, Hotel Bel-Air is a sanctuary of calm offering the ultimate idyllic escape. Here we invite you to celebrate with friends and family, as we present festive menus, dining events and spa experience throughout the season.